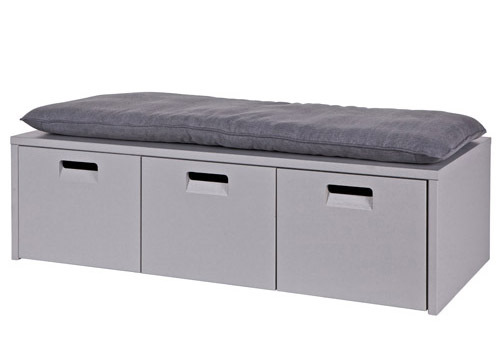 Solid wood 3-drawer storage bench painted in a stylish concrete grey. 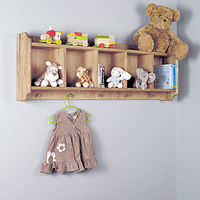 Ideal for toy storage or how about tidying-away shoes in a hallway. 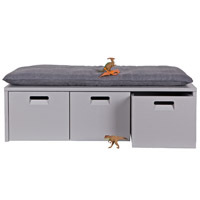 Grey canvas cushion for our Dutch toy storage bench. It’s here at last! 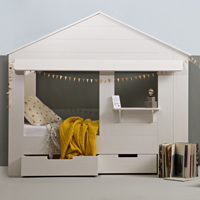 You asked for it, so we sourced it, The Huisie Children's Cabin Bed with storage drawers. 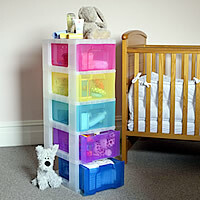 Storage Tower from Really Useful Boxes with 5 x 12 litre storage drawers. 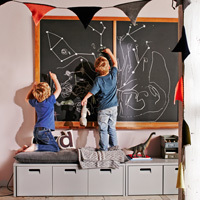 Great for adding a splash of colour to the kid's bedroom, playroom or nursery. New to our Tipi range is the luxurious children’s Tipi Bed - perfect for any little adventurer. Who wouldn't want to sleep in a bed like this?! 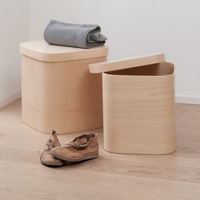 2 drawer contemporary storage side table with solid wooden legs. Ideal for using in the bedroom, living room, hallway etc. 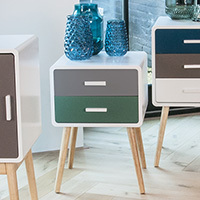 3 drawer contemporary storage cabinet with solid wooden legs. Ideal for using in the bedroom, living room, hallway etc. Stylish elfa solution to create that perfect dressing area using height adjustable wooden shelves and gliding mesh baskets. FREE elfa Design Service Available if this size is wrong for your available space! 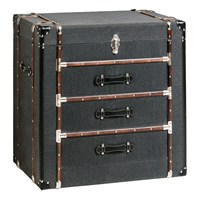 Modern take on the traditional travel trunk This lovely piece of furniture is finished in a contemporary grey linen and makes for a lovely statement piece in a living room, hallway or bedroom. Scandi style bamboo and white wood 3-tier A-frame shelving unit. 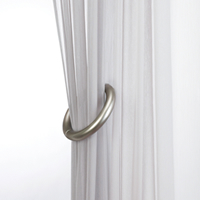 Set of 2 easy to use contemporary magnetic curtain tiebacks. 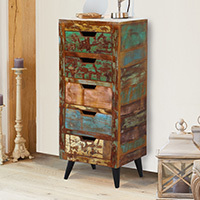 5 drawer tallboy crafted from reclaimed wood. 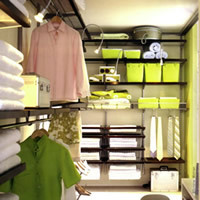 Great for clearing the clutter in almost any room of the house. 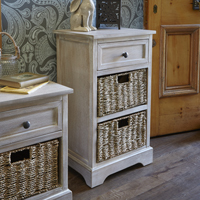 Wooden unit with a storage drawer and 2 spacious seagrass baskets. 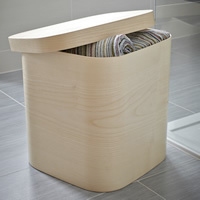 Ideal for a bit of extra storage in the bedroom, living room, hallway etc. 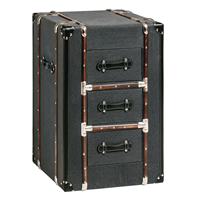 Modern take on the traditional travel trunk. This lovely piece of furniture is finished in a contemporary grey linen and makes for a lovely statement piece in a living room, hallway or bedroom. 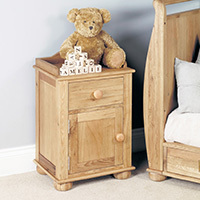 Solid oak bedside cabinet. Comes with a 5 year manufacturers guarantee and is delivered fully assembled. 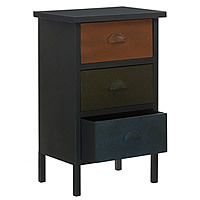 Metal storage unit with 3 multi-coloured drawers. Ideal for using in the bedroom, living room etc. 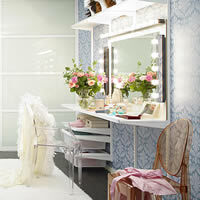 Stylish elfa solution to create a wall hung dressing table area. 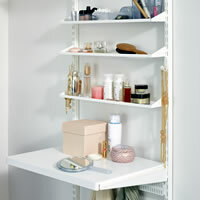 Great for use in a narrow space as a width of 62cm is all that's needed. 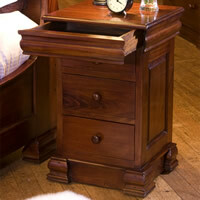 Solid mahogany bedside cabinet with storage drawers. Delivered fully assembled. 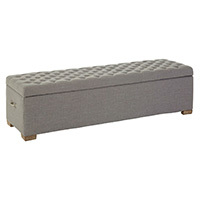 Large storage ottoman to pop at the foot of the bed to provide storage and seating. Available in grey and beige. 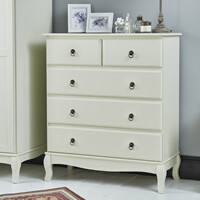 Parisian inspired chest of drawers to add a touch of French chic to any bedroom. Available in an ivory or grey finish. 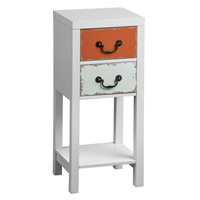 Parisian inspired side table / bedside cabinet to add a touch of French chic to any bedroom or living room. Available in an ivory or grey finish. 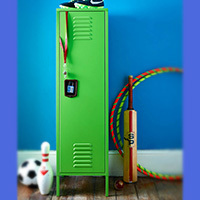 Metal storage cabinet with 5 multi coloured storage drawers. 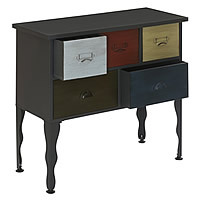 Great for adding an industrial look to a living room, bedroom, hallway etc. 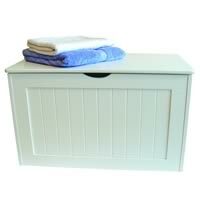 Shaker-style white wooden chest for storing clothes in the bedroom, towels in the bathroom etc. Handmade bentwood lidded beech storage box. 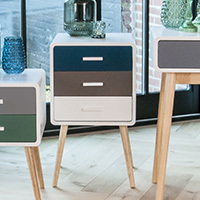 A beautiful item for storage in any room, whether it's as a bedside table, to store shoes in the hallway or for kids toys.